How did Father Christmas manage to successfully create, pack and deliver an unprecedented number of presents to the little girls and boys around the world, to make this the biggest and best Christmas yet? We know from Santa himself that it wasn’t easy. In fact, in recent years, he and his team of top elves have faced the growing challenge of ensuring the new generation of Millennial elves are happy while keeping pace with the demands of their customers. In a rare insight into the workings of the North Pole, Santa told us he had to find a way to optimise the way he ran Christmas. While enjoying a fika in the run up to the big day, he said: “This new wave of elves I have filling up my workplace are very different to their predecessors. They want to enjoy work but also have greater expectations of what they want to get out of their employment with me. “Coupled with this, they’re always on their elfPhones, so I had to find a way to make sure I could communicate with them in the best way while making sure they are in the right place at the right time, so we can make sure Christmas happens without a hitch. 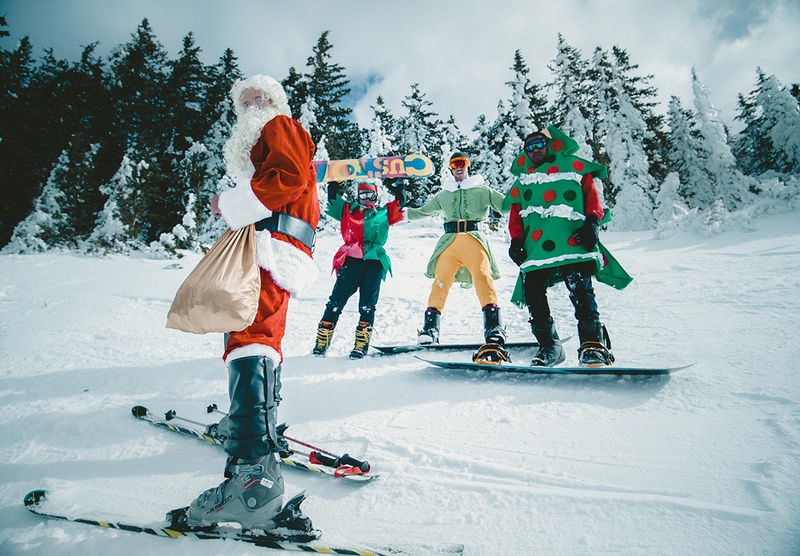 After a successful implementation, the team at the North Pole where able to revolutionise the way they run Christmas, with the main event this year running smoothly and more efficiently than ever before. “This year was the best yet,” Santa said. “The scheduling now takes minutes when it used to take days, it’s all powered by the magic in the cloud and the elves love it. They now they get their schedules sent straight to their elfPhones and can manage when they are working through the Quinyx app. It’s easy for me, it’s easy for them and it means we can do even more for all our everyone who loves Christmas. “With the free time I’ve had, I’ve been able to focus on key areas of Christmas that were being neglected. My sleigh has now been reconditioned, the workshop has had an upgrade and the experience we delivered this year was unmatched. By optimising the core areas of their business, Santa and his team were able to, not only work more effectively, but enjoy their work again, and we all know that happy elves are the best elves. Of course it is entirely up to you, whether you believe in Santa Claus, Father Christmas, Pere Noel, Jultomten, Julenissen, Weihnachtsmann or any of the other names you might know him by. What we do hope, is that you’re enjoying the holidays, wherever you are, and you have a successful and prosperous New Year - enjoy work!